Khaala / Daijaan / DJ rightly said “isse accha toh humara Chandni Chowk hai!” while dissing the British. Truer words have never been spoken! Chandni Chowk is like a pandora’s box. Whether you want to eat parathas, mutton korma or go shopping for bridal lehengas, Chandni Chowk is your go to place. Maybe you’ll even stumble open Bharat Halwai! Wedding shopping in Delhi is incomplete without making a trip to galiyaas and chaubaras of Chandni Chowk. Bridal lehengas, sarees, gowns..you name it and they have it! There are millions of bridal shops there with similar or same names. To avoid your confusion, I have narrowed down 7 of the best bridal lehengas in Chandni Chowk with price & stores. Pro tip 1: Don’t hesitate to bargain. The shopkeepers usually come down to a reasonable price. Avoid customisation as much as possible. Pro tip 2: Karan Johar’s Chandni Chowk is huge and has space for a baraat to dance. Well, his perceptions do differ from the reality. It’s a relatively small place with narrow lanes. It can be a maze if you don’t pay attention and lose your way. Anyway, enough with my gupshup. Check out the best designer bridal lehengas in Chandni Chowk with prices that are affordable, while I wait for my Rahul Raichand at Bharat Halwai. Hidden gem alert! Ram Kishan Saree, on of the best lehenga shops in Delhi, has an exclusive collection of bridal lehengas and sarees. 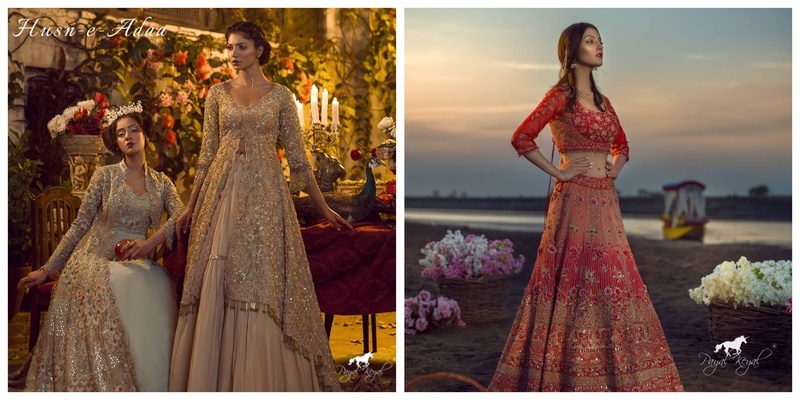 They have the latest designs with a hint of Sabyasachi in them! You have to check this shop out if you’re going for wedding shopping in Delhi! Sunehree flaunts of bespoke bridal couture and exquisite ethnic wear. Each of their stunning collections truly happen to be sunehra. One of the oldest shops present, OPJL is insanely famous amongst Delhiites. They have a wide range of bridal lehengas, sarees and engagement gowns in Chandni Chowk that cater to a vast number of preferences. It won’t be wrong to say that they’re heavily ‘inspired’ by the likes of Sabyasachi, Manish Malhotra, etc. Price range: INR 70K onwards.. Designer duo Aditya and Mohit have changed the game of bridal shopping in Delhi. They have a penchant for pretty colours and gorgeous designs. The relatively pricey kid, Asiana has an excellent collection of embellished lehengas, sheer gowns and sarees. They focus on intricate designs and modern silhouettes. This is one lehenga shop in Chandni Chowk where you can demand customizations. Trust me your bridal shopping tour will be super easy once you step into Asiana’ store! Price range: INR 5oK onwards.. Bridal wear store Shrangar started out in 1986 and have come a long way since with a buzzing clientele of industrialists and fashion stalwarts. It was born out of a love for heritage, colour and craftsmanship and has been developing itself brilliantly in them. Bridal shopping in Chandni Chowk is incomplete without a trip to Shrangar! Price range: INR 60K onwards..
Kamal Bhai Saree Sangam is another hidden gem for bridal couture in Chandni Chowk. Not too pricey, with just the right designs, Kamal Bhai makes it worth it! So did I quench your thirst for the best lehenga shop in Chandni Chowk? You’ll look like a proper Mrs. Raichand in wedding couture from Chandni Chowk!